VVD stalwart Klaas Dijkhoff told the Telegraaf newspaper this weekend that he could not support the cabinet’s climate agreement which was sealed at the end of last year. Despite the apparent split, Columnist Syp Wynia does not believe the coalition is in trouble. Klaas Dijkhoff, who leads the VVD in parliament, opened election year 2019 by launching a broadside on climate change ‘moaners’, including coalition partner D66’s Rob Jetten. Dijkhoff told the Telegraaf he did not feel bound by the climate agreement the cabinet entered into with a number of companies and organisations. Dijkhoff now thinks the ‘common man’ has had too little say in the matter and that there is no need for the Netherlands ‘to become a beacon of light for the rest of the world’. The VVD’s second in command, in so many words, is threatening to topple Mark Rutte’s third cabinet. ‘If it’s a choice between the cabinet and the interests of ordinary citizens, I will always be on the side of the citizens,’ he says. But how seriously should we take Klaas Dijkhoff’s attack on D66? Is the VVD really going to ditch the climate accord or re-negotiate it? It doesn’t seem very likely. The VVD has always been a wholehearted supporter of climate policy as drawn up in the climate accord. 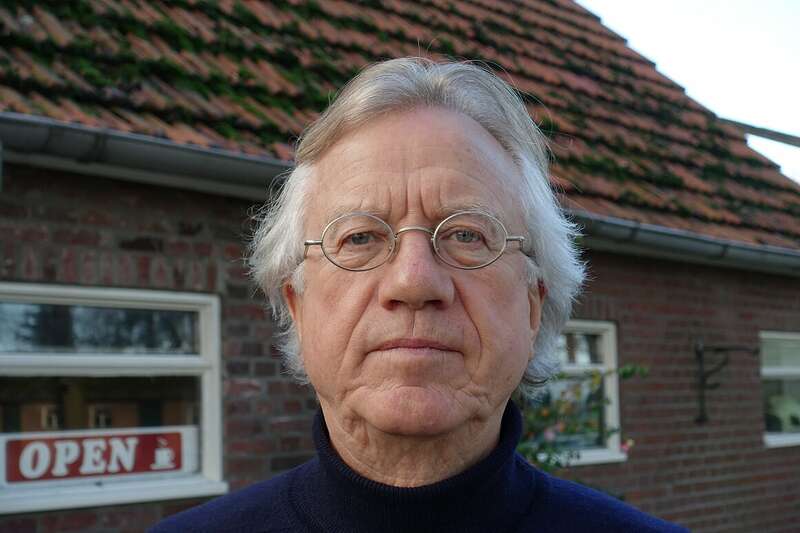 The climate agreement was the result of a number of round-table talks led by former VVD leader Ed Nijpels and under supervision of VVD minister Eric Wiebes, but is really no more and no less than the implementation of the government accord of 2017. The outline of the present climate agreement can be found in that document, the product of seven months of negotiating by VVD prime minister Mark Rutte. If the climate agreement is unrealistic and prohibitively expensive, then that is because the cabinet has committed itself to climate goals that are impossible and often ridiculous. It set itself the ‘most ambitious goal of the Paris agreement’ i.e. halving (49%) 1990 levels of carbon dioxide emissions by 2030 and reducing them by as much as 95% by 2050. The European Union, the most ambitious emissions slasher in the world, is setting its sights on no more than 40% by 2030. But Rutte III is aiming for a European goal of no less than 55%. Dijkhoff is directing his ire at the climate agreement and the price citizens will have to pay to implement it. The Netherlands should not aspire to be a ‘beacon of light’, he says, but despite his protestations he is not prepared to drop the 49% (or 55%, or 95%) – far from it. Dijkhoff’s parliamentary party came out in full support for switching off the gas mains in older homes and a ban on gas for new homes last year -a move which doesn’t help the climate but will result in a bill of €200bn for private home owners alone. Far from wanting to stop the ban, Dijkhoff wants to subsidise home owners to make the change – as if that won’t have to be paid from (higher) taxes. That is the reason Dijkhoff is very reticent when it comes to explaining to the Telegraaf what changes he would like to make to the present climate agreement. He fails to mention any measures he would like to see scrapped, which is doing his credibility no favours. Small wonder then that he was immediately accused of ‘election rhetoric’: the costs for climate policy, already unpopular, are particularly unpopular with VVD voters. On the agenda are provincial elections on March 20 (followed by senate elections) and European elections on May 23. The electorate has a tendency to show its dissatisfaction with cabinet policy in these relatively less important elections. Dijkhoff’s credibility is not helped by his reputation as a launcher of ideas in the public domain as a way of testing the waters. Most of these fizzle out in time and are never talked of again. Unhelpful too is the VVD’s – and Dijkhoff’s – apparent enthusiasm for the proposed climate policy until now. And the man in the street has not figured prominently on the VVD agenda in recent years. In December prime minister Mark Rutte traveled in person to the umpteenth UN climate conference in Katowice in Poland. He demanded more climate change busting measures, not fewer. The European goal should be upped from 40% to 55%, he said. In view of this Dijkhoff’s yellow vest loses its visibility somewhat. He is creating an artificial little election row with coalition partner D66 (while shutting up Thierry Baudet and Geert Wilders) – that is what it boils down to. And so to the VVD and the man in the street, and to the latter’s financial burden in particular. The VVD has not shown itself overly concerned with the citizens in the wake of the 2017 elections. It concentrated its efforts on business, especially big business. It promoted the ban on gas, which is forcing home owners to spend more. Easing the financial burden for citizens has not been the party’s first concern for some time. Despite a raft of election promises the collective tax burden has increased year on year. At the time of Rutte’s first cabinet that burden was 35.5% of GDP. This will go up to 39.2% in 2019, according to macro-economic policy unit CPB. That is a rise of 3.7 percentage points in nine years. GDP in 2019 is going to be around the €770bn mark and 3.7% of €770bn is €28.5bn. That means people are paying €28.5bn more in taxes and premiums compared to 2010. Divided among around eight million households in the Netherlands and the final bill for 2019 will be over €3,500 per household more than in 2010. And that doesn’t even include the lion share of the climate costs. At the time of his first climate budget debate, minister Wiebes talked of tens of billions of euros a year. Later, he smoothed the waters by saying it was a mere half a percentage point of GDP a year. But even that represents a third of total projected economic growth. That half a percentage point a year until 2050 would represent a reduction in prosperity the size of two economic crises. In other words, relieving the tax burden for citizens is not something citizens will have to look to in the VVD. Threats, such as the one made by Klaas Dijkhoff about the climate agreement, should be taken with a big lump of salt. Dijkhoff himself signed the government accord, the climate agreement (and was ‘proud’ to do so, he said) and he also signed the gas ban. So what he is really doing is threatening himself. That just about sums it up.